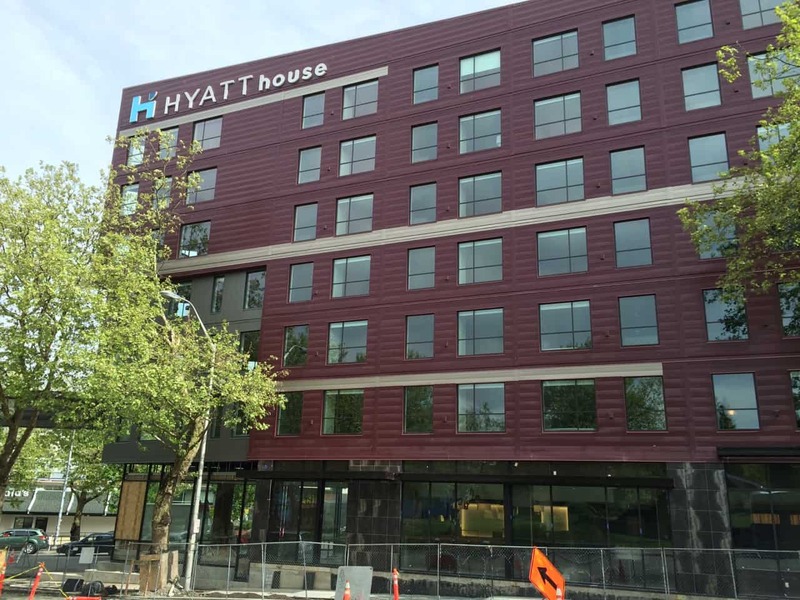 The Hyatt House Seattle Downtown is set to open in the next few weeks. I stopped by today to check out the progress of the construction and to scope out the property. I was not able to go in, but here are a few observations. Location: This is the closest hotel to the Space Needle hands down. While the Hyatt Place Seattle is a short walk from the Space Needle, the Hyatt House Seattle Downtown is perhaps 500 feet from the Space Needle. You will walk out the door, cross the street, and you are at the gift shop and elevator to the top. This is great for tourists, however it is a bit of a distance to the downtown core. 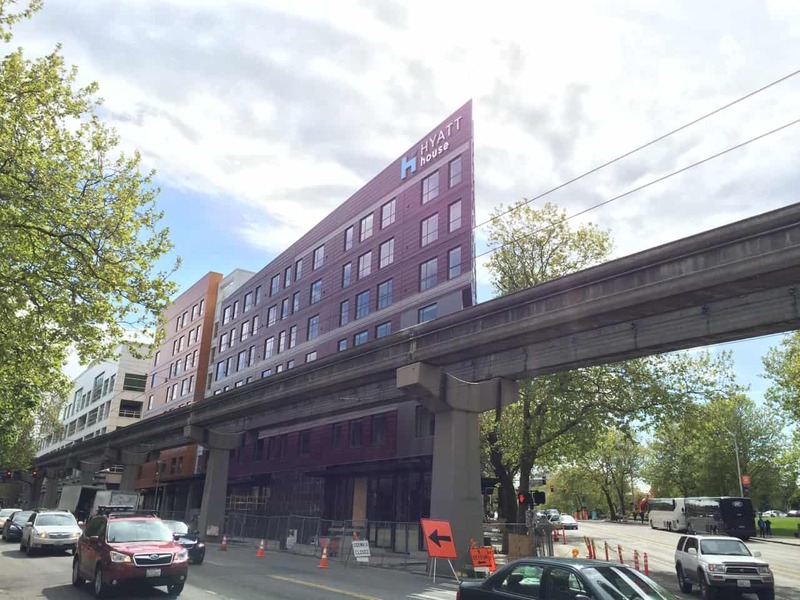 Lucky for you, the Monorail stop is also just across the street, very convenient for tourists to access shopping and Pike Place Market. In fact, the monorail passes within feet of the hotel (in the photo above, the monorail track is that concrete rail); so that if you are staying on the third floor you might come face to face with the passengers. In the evenings this area is pretty dead; however if a guest was looking for night life they could walk a few blocks over to Belltown for dining and bars. The waterfront is about a 10-15 minute walk as well. The buses to the right are dropping people off at the Space Needle. It is that close. Amenities: The property has a large footprint and looks to have a large lobby and bar area. It didn’t look like there was a pool (and the website doesn’t list one). There was a work out facility I could see. Hard Product: The building is a fun purple color but looks like a basic cookie cutter hotel or condo building. All around Seattle you will find buildings like this; 5 floors of housing over 1 floor of retail. But I am glad they brought in bright colors that will compliment the Experience Music Project Frank Gehry designed building across the street. Furnishings were already in the rooms I was able to see in; looks like they are going with a bit more modern/hip furnishings than other Hyatt Houses I have stayed at. I didn’t see a parking garage; it will be interesting to see how they manage that as there are few parking areas around (ironically the hotel was built on one of the few surface parking lots left around). 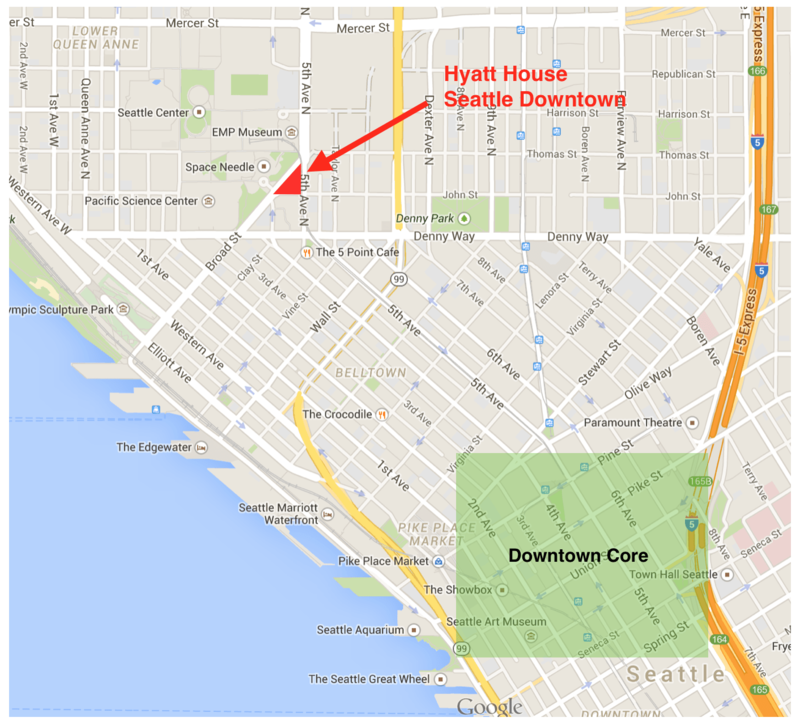 The Hyatt House Seattle Downtown will be a nice addition to the constrained hotel market in Seattle. 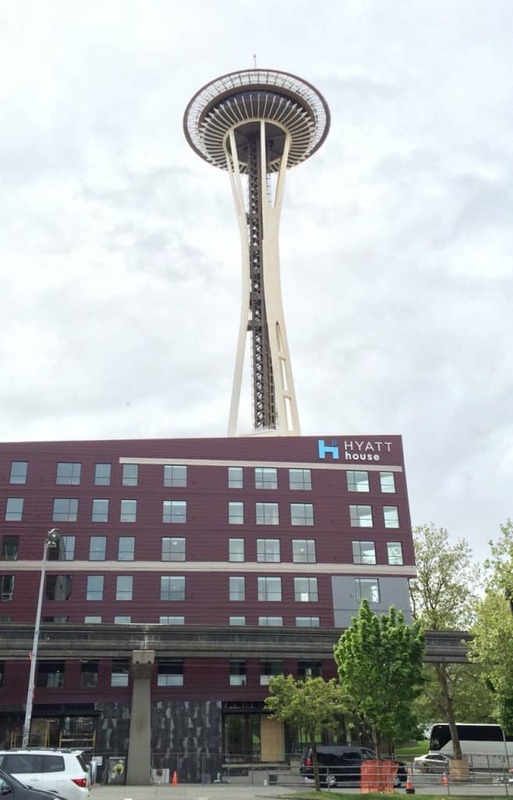 I am guessing most of the clientele will be tourists or people working with Amazon (whose headquarters are a few blocks away) or The Gates Foundation (headquarters is across the street). It is a bit too far from downtown to be a business option. My guess is that you may be able to find some deals at this hotel during the winter months, but during the summer it will regularly be sold out.